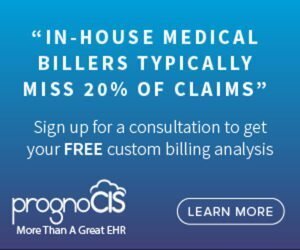 The latest improvements to PrognoCIS EHR will deliver improved patient care by saving time when printing and preparing patient encounter forms. The practitioner can spend more time focusing on giving quality care instead of spending time in front of a computer screen setting up a print job or searching through categories in input templates for patient encounters. These EHR software updates save time and result in enhanced productivity. Practitioners can now build anything they need into the workflow for specific patient types by creating custom categories in input templates with PronoCIS Denali. New custom categories on input forms create a pre-built workflow. This ensures that information is recalled faster, and that patient encounter information is organized faster. The Category (or Organ System) is the first tier of the Input Template, which groups together the different documentation points. They can be individual categories or shared among multiple input templates. In PrognoCIS, in the Settings menu, under Input Elements, Tests and Templates, is where the practitioner inputs patient data for a variety of clinical applications (i.e. Vitals, HPI, Physical, Lab Radiology). Along with the categories already in PrognoCIS (i.e. categories for HPI include Asthma, Pain, Hypertension), the practitioner can now add custom categories. When the category is created, PrognoCIS determines a default E&M number as well as where the category appears in the sequence of the generated output. Printing patient reports from you EHR is now much easier and, more importantly, faster. PrognoCIS EHR software used to associate print templates only with doctor forms. Now, this function has been extended to associate print templates with patient forms as well. This results in a shorter wait time to print and enables to the practitioner to move forward with patient care. On the Patient Forms design screen, the Print search field has been added to associate a Print template. The output template associated with the Patient form can only be printed from Encounter TOC > Patient Form and Home. If the encounter is present, click on Patient form icon. To associate a Print Template with a patient form, go to Settings>Configuration> under Report Design column, click Patient Forms. The patient form will only print using the template once one has been associated with the patient form; otherwise, the patient form is printed without template formatting. These new enhancements save valuable time to engage with the patient and provide quality health care. The practitioner will be able to store and find similar patient encounters faster and print out patient forms with fewer clicks. It’s important to stay up to date about how the functionality of your EHR is being improved, and how your practice will benefit from those improvements. You can visit the PrognoCIS Resource Center to easily access User Guides, FAQs, and release notes whenever you have questions about your PrognoCIS EHR’s functionality or have a problem that needs solving. Technical Support can be contacted by phone, online chat, and email so that you always reach an expert who can help you with your case. Take a look at the PrognoCIS Technical Support page here. Come back to the blog for future updates. We make regular announcements about improvements as the PrognoCIS software is updated.